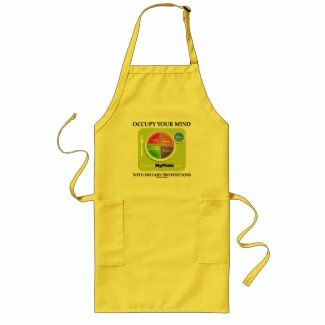 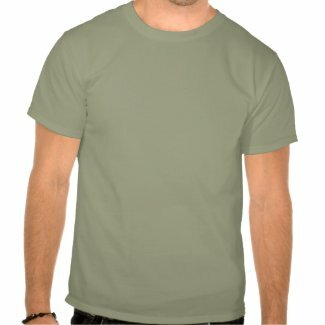 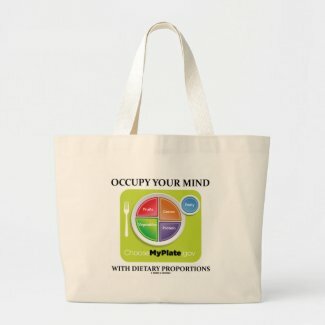 Showcase your wry federal nutrition / dietary guideline sense of humor with any of these gifts featuring the MyPlate.gov logo with the food groups, along with the following wry dietary humor saying "Occupy Your Mind With Dietary Proportions". 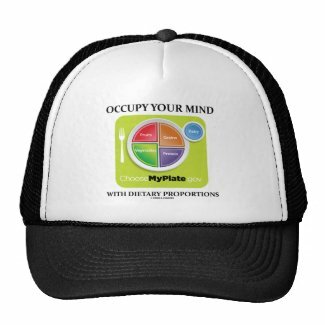 Make others do a double-take every time they sit down to eat a meal! 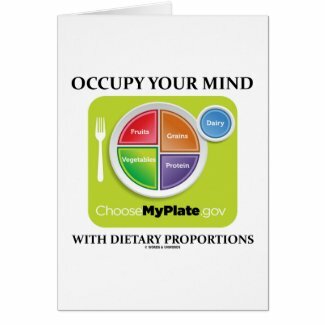 Note: The use of this image is neither endorsed nor supported by the USDA, which is responsible for the MyPlate.gov logo.